A while back I mentioned that our roman shades finally bit the dust because the pull-up string broke which rendered them useless. I had disliked our roman shades for a long time for two different reasons. The folds were shelters for all the stink bugs that would somehow find their way into our house. I mean how do they always manage to find a way into our homes? Even with bug screens!! They were also filthy and there was no way to clean them. After our 19-year-old living room shades broke it was finally time to go on the hunt for new ones. This is where Blindster.com comes into play because I found that they had the right selection of blinds to chose from. Disclosure: Blindster.com provided the shades but as always all opinions are 100% my own. 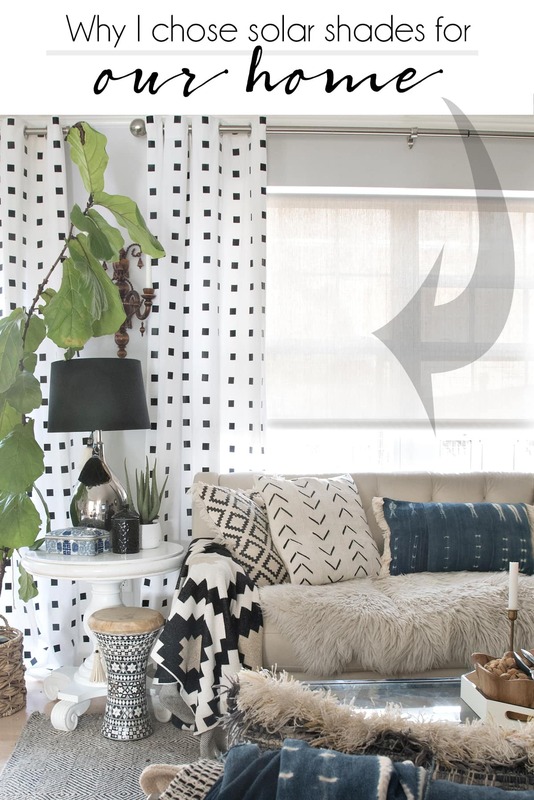 After reading up about all my window treatment options I quickly narrowed my choice down to Blindster.com’s solar roller shades and you can see their selection HERE. Today I would like to talk about why I chose solar roller shades and how they look in our home. Why did I choose solar roller shades? Blindster.com‘s solar roller shades are roller shades that are manufactured using Phifer Sheerweave® fabrics which makes them wipeable, durable, bacteria-resistant and anti-microbial window coverings. They are also highly effective at reducing the amount of UV light that enters your home which then can reduce your energy bill in return while also protecting your furniture and your décor. I have had numerous curtains and sofas fade in front of our windows and am confident that this is a thing of the past now. The solar shades range in different openness factors which are measured from 14 percent to 1 percent to blackout. 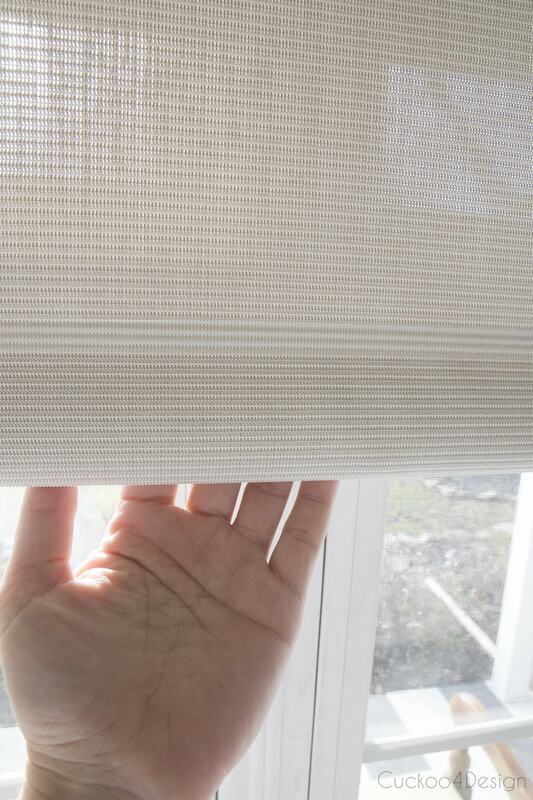 I had to think about what level of openness I wanted but ultimately chose the premium solar roller shades at 1 percent which is almost blackout (click HERE). And just for quick reference, 1% blocks out 99% of UV and you can do the math if 14% blocks out 86% of UV which means the rest is in-between. I also really love the variety of textures and colors solar shades come in. Below you can see the samples I wanted to pick from. 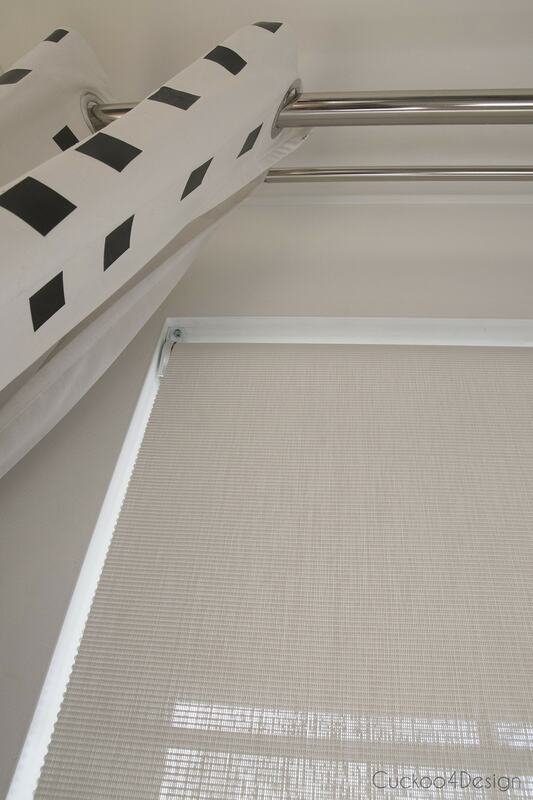 There are many options to choose from when finalizing the look and function of your solar roller shades. 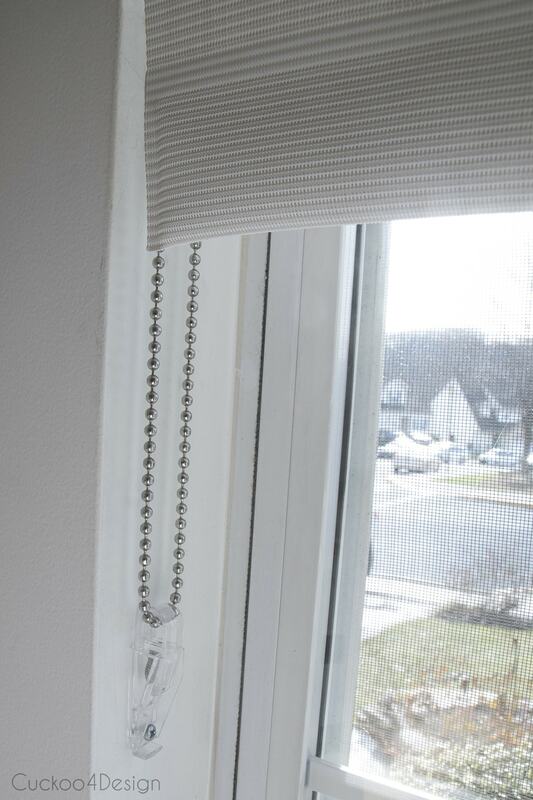 You can add a cassette valance and nylon or metal beaded chain cords or you can make it a spring roller. You can choose whether you want it to be inside or outside mount and a standard roll or reverse roll. If you chose a chain versus a spring roller then you can pick if you want it on the left or right. I ended up choosing the swatch all the way to the right which you can see below again. 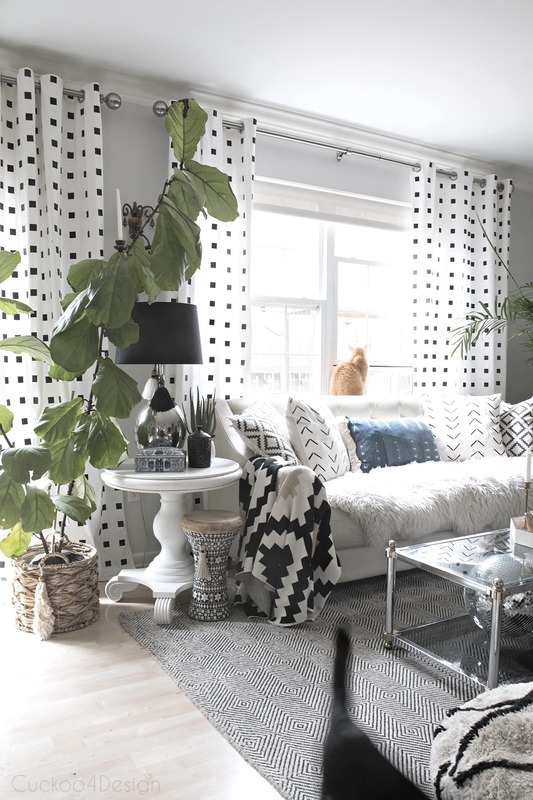 I love the subtle striped pattern because it looks great with our beige toned sofa and floors but also looks great with our white walls and kitchen. My shades are 1 percent open in Alabaster P07. I chose an inside mount without cassette valance in a reverse roll with a metal chain which is placed on the right for both the sliding glass door and window in the living room and on the left in the dining room. They are super easy to hang. 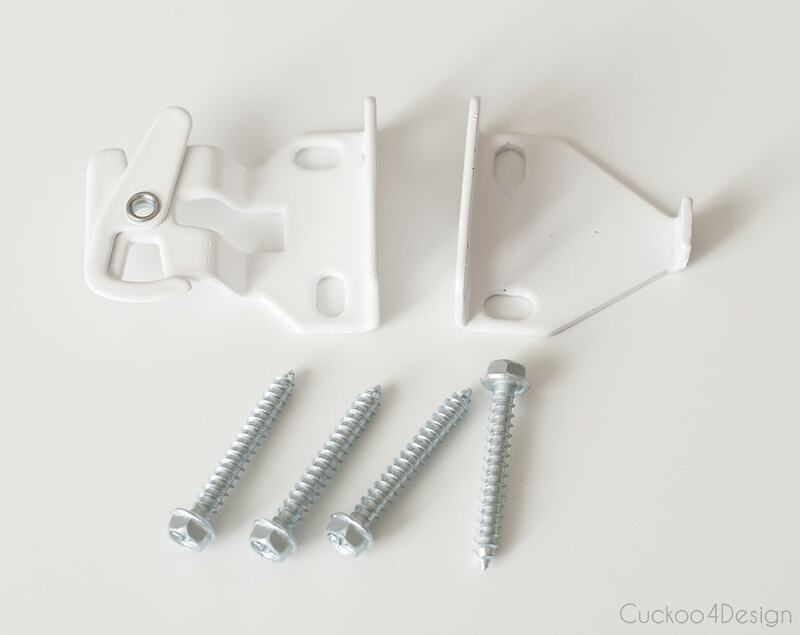 I love the metal brackets you can see below that have a hook closing mechanism. And that is all the hardware that you need. 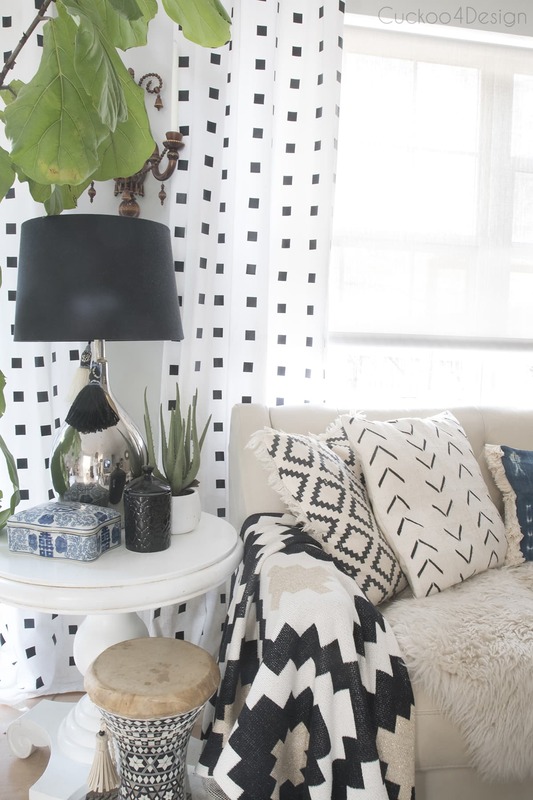 If you are wondering about my curtains, click HERE for the tutorial and HERE for a roundup of some other great black and white curtains. I love the feel of them and how super easy they are to keep clean. All you need is a damp rag. You can see that I still have a slight view of the outside but the solar shades are definitely blocking out a lot of light. This is exactly what I wanted to keep maximum privacy at night when the lights are on inside without having them completely block out the light during the day. I couldn’t be happier with all the features and how they look in our downstairs. 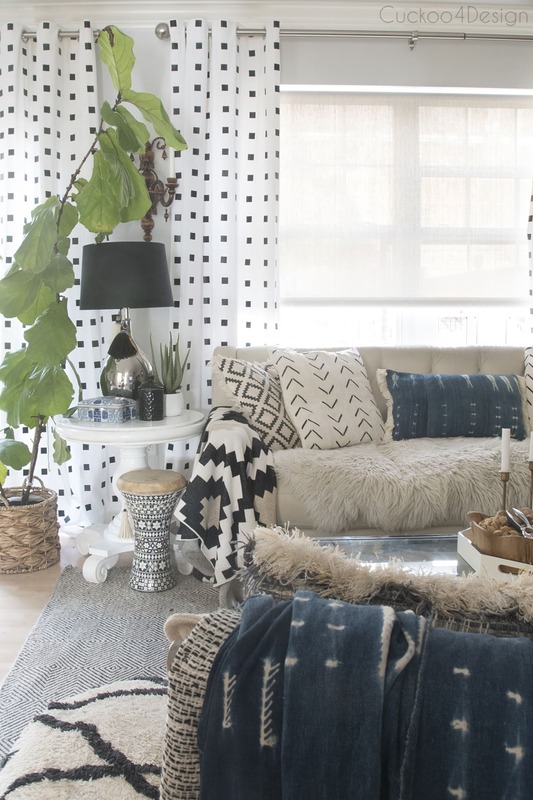 Don’t you agree that they are the perfect subtle and functional addition to our home decor? Absolutely LOVE these shades and just how time appropriate your post is for us right now. We live in the country in a farmhouse and have not needed any window coverings in the 7 yrs since building the house. Well that changed very dramatically two nights ago when a cougar decided to stalk my kitties who were laying on the back of the sofa in front of living room windows! Not only did this huge cat stalk them, but then decided to attempt a flying leap through the huge windows, which thankfully did not break, but the sound explosion of it attempting to grab my Bella and not realizing there was glass between them was heart-stopping. I truly thought a bomb had gone off. This happened at 10:30 at night so I was not about to go looking outside to see what happened and had no idea, standing inside what had happened. Both I and my poor kitties were so freaked out, not knowing. The next morning I found the big cat’s launch prints and the broken panels of my cold frame planter box where it landed and a very clear face print, mouth open and claw print on the outside of my window, right where Bella had been laying. So I have chosen the exact shade you did and will be ordering as fast as I can get the windows measured. I was shopping online almost all night last night trying to choose something! I can’t wait to get the temporary sheets of cardboard off the living room window!! Thanks so much for posting!! Oh my goodness that is so so scary. Aren’t you afraid to go outside now? We only have the feral cats outside that I TNRed and they fight with mine sometimes in their catio. Can I ask where you live…you can be vague about it…where are there cougars?? Carol, we live in the Cascade mountains of central Oregon. We do have a pretty healthy cougar population here, but they always have pretty much stayed away from people and populated areas. But we think they have been driven closer to towns by the recent forest fires destroying their habitat and food sources. I am sure this big cat did not realize there was a glass window. It just saw the cats lined up like treats on the back of the sofa and made a charge and lung for dinner. It hit so hard and must have really hurt! Poor Big Kitty!!! 🙁 Anyway we are fine during the daytime, but have always been very vigilant at dawn, dusk and night when they hunt. Just part of living where we do. 🙂 We also have bears! Oh, those fires were so devastating for all the poor animals too. Agreed, poor big kitty. I love those shades! They go perfectly in your home. Just wish I was handy enough to install them myself. I know what you mean Donna but it was actually pretty easy. 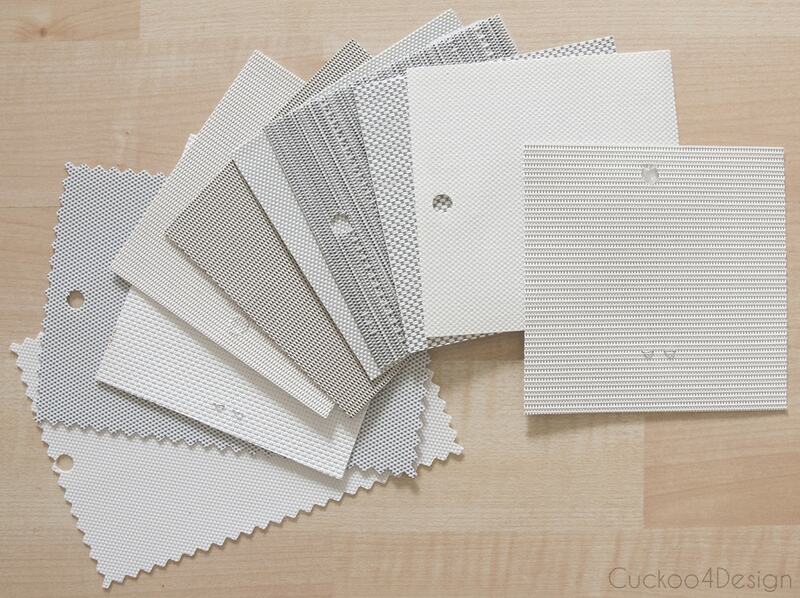 Julia–It’s amazing how new shades can freshen a room, isn’t it? Oh yes, I got my money’s worth out of the old ones for sure. These look great, Julia! You mentioned the visibility at night, but I’m curious if you can still see shadows when lights are on inside? Thanks! You can’t see much, shadows yes but not what is going on inside the house. these are so beautiful! i was thinking bamboo for our new home. but i love these, too! Hi Michele, the reason I didn’t pick cassettes is because I couldn’t hang the shades inside mount on my sliding glass door with a cassette on it. I wanted them all to look the same though. Had I been able to hang the cassette in an inside mount on the door, I would have picked them all with a cassette I think. And yes it leaves room behind it but my cats don’t sit behind it.